I bought theses because I needed some extra arch support for my work boots to stop my arches from hurting during long shifts at work on my feet. I didn’t want to get full length insoles because my work boots are rather tight and heavy anyway so I needed something that was going to be light and wouldn’t end up bulking up my boots. These arch supports are really good! They give my feet really good support and have really helped keep my feet feeling comfortable and have stopped me from getting pain. Why buy these Running insoles! Running can take its toll on your feet. The high impact forces and pressure placed upon your feet when you run can damage key ligaments, joints, and bones in your feet. This can cause injuries and problems to develop such as metatarsalgia, plantar fasciitis, heel spurs, Achilles tendinitis as well as other problems that can affect not just your feet but also your lower limbs and lower back. That is why it important to make sure that your feet are properly supported and protected when you run. 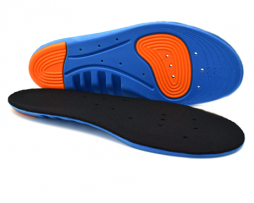 Wearing a pair of these running insoles in your shoes is one way that you can stay injury free! 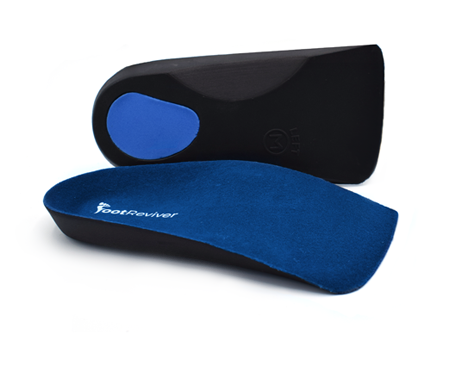 1X pair of genuine FootReviver running insoles, features the very best arch support and motion control technology to keep you running injury free! Perfect for people who are on their feet all day featuring a memory foam layer for better shoe comfort. With built-in metatarsal pads you can say no more to ball of foot pain once and for all! 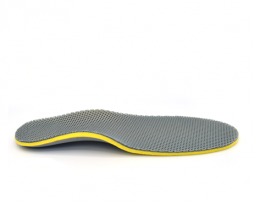 Designed to help ease the main causes of foot pain by supporting your feet in the most natural position and correcting functional and bio-mechanical problems when you walk. If you have fat feet (also referred to as collapsed arches) then you are at higher risk of developing foot problems and injuries. This is because having flat feet can make you more prone to developing bio-mechanical imbalances that can affect your gait and cause more strain and pressure to be placed on the bones, joints and ligaments found in your feet. That is why it is important to wear arch supporting insoles that will help to stop these imbalances and keep your feet protected. Inbuilt arch support designed to keep pressure off your arches and correct functional imbalances that can cause injury such as overpronation. Solid heel cup holds your heels in places providing you with extra stability and heel support to stop heel and ankle sprains. 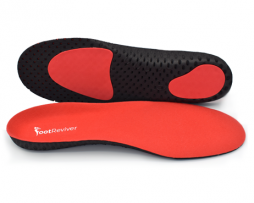 Ideal for people with plantar fasciitis! Heel grips help to prevent your foot from moving around and rubbing against the sides of your shoes, this helps to to stop blisters from developing. Made from lightweight carbon fiber material that can be trimmed to the right size. Perfect for adding inside running and sports shoes to help give you more support and protection when running and playing sports.